The official website of the upcoming anime ‘Satsuriku no Tenshi’ announced that the series will premiere on 6th July 2018. Additionally, the second Promo video made a release along with the announcement. The series is an adaptation of Makoto Sanada’s manga of the same name. The manga is about a young girl who finds herself lost in an otherwise abandoned building full of murderous madmen. Kentarō Suzuki is serving as the director for the anime with animation by J.C. Staff. Kudan Nazuka is serializing the manga in Media Factory’s Monthly Comic Gene shojo manga magazine with Makoto Sanada authoring the manga. 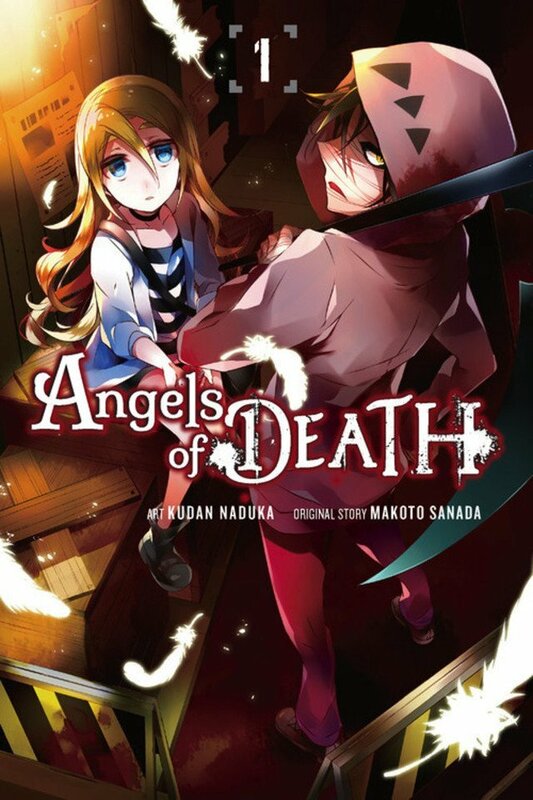 Yen Press is publishing the English version of the manga. 13-year old Rachel awakens to find herself trapped in the basement of an abandoned building. Without any memories or even a clue as to where she could be, she wanders the building, lost and dizzy. In her search, she comes across a man covered in bandages. He introduces himself as Zack and he wields a grim-reaper like a sickle. The story was originally made for an RPG game. So we can expect some elements of its gameplay in the animation. Since this belongs to horror genre the background music and sounds along with visual effects will be crucial to its success. Also, the art quality and character designs are decent and that is a good thing. Finally, the major thing that we are left with is the plot. The manga has good reviews so we can hope for the plot to be interesting. Horror shines when it can bring out the unexpected in a nice way. Let us hope for a thrilling experience. We can expect this series to be of 12 episodes in length perfect for a binge watch. Love horror-themed games? Check out our Little Nightmares – Game Review.